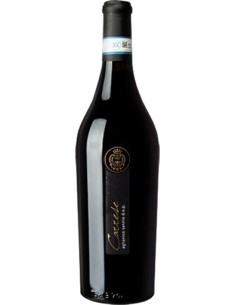 Fatica Contadina is a Taurasi DOCG produced by Teredora in Campania. It has an intense ruby red color with garnet damascations. 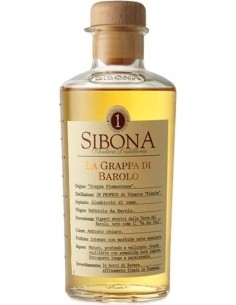 At first sight you can smell fruity and mineral notes. 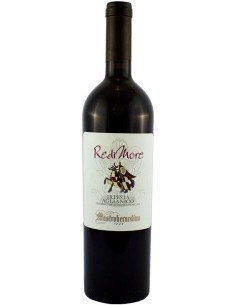 On the palate it was soft, well-structured, with hints of plum, black cherry and black pepper. 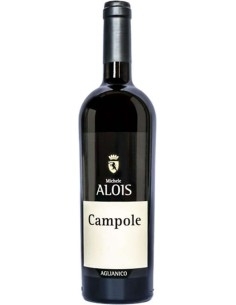 It is excellent to combine with game, roasts, truffles and aged cheeses. Giacitura Declive 400 metri s.l.m. Among the Irpinia hills, which surround the Sabato and Calore Valleys, is the winery and the estates are located, which make Terredora, with its approximately 200 hectares, one of the largest wine-growing companies in the South of Italy . Although the beauties of the Gulf of Naples, Pompeii, Sorrento and Amalfi are not far away, Irpinia is a hilly, mountainous area in the hinterland, with a continental climate, which produces wines since the time of the Greeks and Romans. Here you do not find the sunny plains or the hills burned by the southern sun, but so many shades of green, the freshness of the woods, a particular physiognomy that manifests itself in the mountains covered, often up to the top, with chestnut and secular chestnut trees and in the lush view of the hills strewn with vineyards. From this overbearing and luxuriant nature and from the ability of men to produce with modern and innovative style, Terredora wines acquire their well-defined personality and character. The company vineyards are, in fact, in the most suitable areas of Irpinia for the production of wines of great value and represent the synthesis of the passionate research between respect and enhancement of the territory and the indissoluble link between environment, grape variety, climate and intervention of the man. All of them, with their accentuated slopes and clayey-calcareous soils of volcanic origin, have excellent exposure and insolation, a warm, dry, and windy climate, characterized by strong temperature changes and few rains well distributed throughout the year, over 3,500 plants / hectare trained with guyot. The Tenuta di Lapio, Campore, is one of the most suitable sites, in the production area of ​​both Fiano di Avellino and Taurasi. Cultivated both in Fiano and Aglianico, it primarily gives birth to the CampoRe "reserves", and then supplies part of the grapes of two other prestigious wines: Taurasi Fatica Contadina, produced in blend with Aglianico of the family vineyard in the countryside of Montemiletto, and the Fiano di Avellino Terre di Dora, better known as the Ex Cinere Resurgo, obtained in blend with the Fiano grapes of the Montefalcione vineyard, from which this family history of entrepreneurial rebirth started. 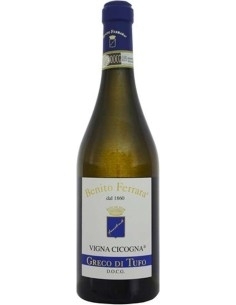 The Terre degli Angeli estate in Santa Paolina and the Montefusco vineyards for the Loggia della Serra are the sites chosen for the production of Greco di Tufo, perfect for producing wines of great aromatic intensity, mineral fragrances with distinctive characteristics of considerable complexity. Still in Montefusco, in the locality of Marotta, the Falanghina vineyards and, in Montemiletto, instead, lies Casali della Baronia, a fund cultivated in Aglianico and Falanghina. 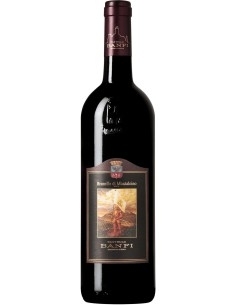 In addition to the grapes used to produce the aforementioned Taurasi Fatica Contadina, here is also produced Il Principio, a powerful yet soft Aglianico, which was, as the name suggests, the debut of Terredora among producers of great red wines. Last in order of time acquired by the family, the estate of Gesualdo for the production of Aglianico, Coda di Volpe and Falanghina, a beautiful plateau over 650 slm, which gives surprising elegance to wines. 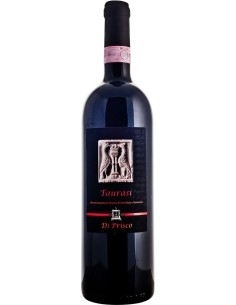 The Pietradefusi estate, dedicated to the production of a version of Taurasi, the Pago dei Fusi, which combines structure and velvety character, deserves a special mention. The vineyard extends, in fact, on gentle hills with soils of Pliocene origin, which constituted the seabed of the time, rich in micro-elements and a microclimate with good temperature ranges. 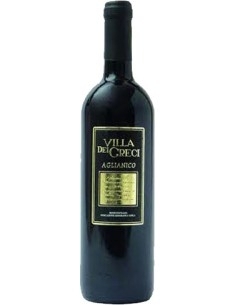 In this still uncontaminated area, a unique territory for Aglianico, wines of great olfactory impact are born with a predominance of floral and mineral notes and an acid shoulder that enhances its freshness. Next to the vines, where the slopes become harsh, the olive tree climbs to produce the Extra Virgin Olive Oil Terredora, characterized by low acidity. Per e Palummo of the woman, Antonio Mazzella shows an intense ruby red color. 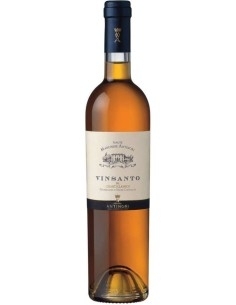 It has a scent of violet and a dry taste, tannic right. It is great to combine bunnies with bunnies, game, and cheeses.